Westminster Bridge sees cyclist and pedestrian improvements, but is it enough? 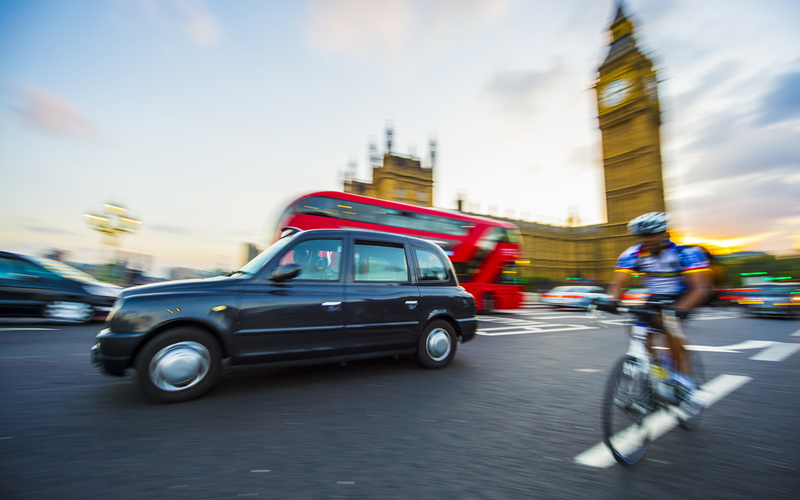 The announcement of new works and improvements to Westminster Bridge has been welcomed by the cyclist and driving community. Improvements to cycle and pedestrian space are hoped to reduce the rate of incidents in the area, but may prove to be minor improvements to a wider safety issue best addressed through modern camera technology. Improvements to pedestrian and cyclist safety continue to develop. Following significant consultation with the public on the safety of the Bridge for pedestrians at present, London Mayor Sadiq Khan authorised sweeping changes to the layout of the Bridge and the space available to cyclists and pedestrians. Announced last week, the changes include the addition of three pedestrian crossings replete with countdown timers, in addition to further cycle route space that is separated from vehicles. The improvements are hoped to reduce the rate of pedestrian and cyclist incidents drastically in addition to improving the flow of traffic. What is unclear however, is the extent to which other forms of safety improvement have been considered on a wider scale. While it is certainly true that improvements to the Bridge will improve safety, little has been spoken on the subject improved camera technology in vehicles commonly responsible for serious fatal and non-fatal incidents. It’s no secret that cycling is a vital part of London life for many residents and visitors. Cyclist safety has continued to grow in prominence in the media, with the rate of fatal and non-fatal incidents having reached a level of serious concern. With advocates for increased cyclist and pedestrian safety pressuring the government through staged protests such as the recent “die-in vigil” performed in February, the alterations made to the Westminster Bridge are a welcome addition to many who have decried the governments rate of action in responding to the mounting casualty figures. The level of commitment and focus shown by the government is promising, but has one predictable flaw that may prove problematic: it focuses on works and improvements that the government can access without overly disrupting trade. The subject of improvements in safety and practical driving quality provided by 360 camera and analytics devices is one that has seen a lack of discussion on such a level. Although such devices are investments performed by individual companies, the sheer weight of research that positively indicates both cost savings and drastic improvements to cyclist and pedestrian safety has sadly been overlooked by government officials. The subject of pedestrian safety in a worldwide hub as busy as London has long since established itself as a key political issue. With the damages of poor road safety extending to tourism and trade within the capital, the subject has far-reaching consequences for the beating heart of the country upon which so much of our finance and enterprise relies. Described as works important to improving the health and quality of life of residents and visitors in addition to road safety, it is hoped that works such as those underway on Westminster Bridge will come to be part of a sustained trend towards minimising road fatalities and incidents. The final word, however, is that of cost. Fleet managers are practical professionals in a challenging environment; while it is tempting to view these works as enough progress in terms of safety, the clear advantage in both savings to the company and general pedestrian safety provided by 360 camera devices remains an avenue of improvement that is yet to be discussed properly on such a large scale.